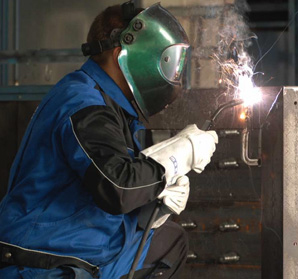 Through the robust and compact design these machines are predestined to be used by craftsmen in vehicle workshops, in the service and repair industry and also in the production industry. Experience the big plus of functionality thanks to the new control panel with its extra large function control knobs and its modern design. The new controller with Synergic wire feed and TEDAC® wire trim ensures high efficiency and quality. Simple, self explanatory control panel with extra large function controls and LED display. Setting and display of the wire trim by means of the TEDAC® torch. Creep start and wire burn back control are adjustable. 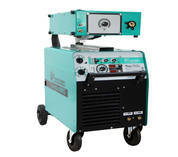 Mode of operation: 2-stroke/4-stroke/stitch/ spot welding. Wire feed safety cut-off in 4-stroke operation. 4-roller wire feeding system as a standard. High speed wire insertion automatic. 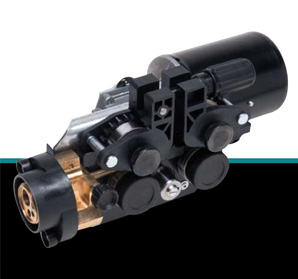 2-stage choke mounted for reduced spatters (CompactMIG 400). 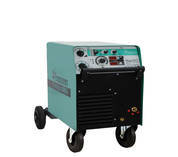 Digital read-out of the welding current, welding voltage, wire feed speed and material thickness, with HOLD function. Lowered galvanized gas bottle holder. Connection for push-pull torch or remote control (option for CompactMIG 400 D/DW). Comes as a standard at all CompactMIG. Directly flanged EURO torch connector.